There are two of these stunners up for sale! 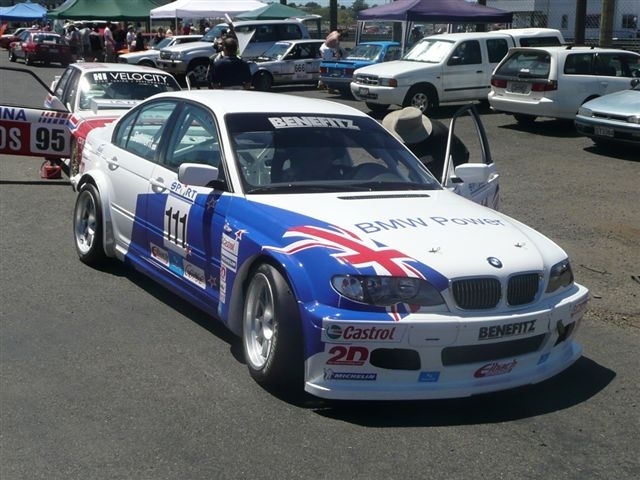 Please contact Mike Delmont on +64 21 965468 or +64 9 4434192 or e46wtcc@bmw.net.nz Genuine inquiries only. These cars are 2004/05 BMW Motorsport E46 WTCC 320i race cars, one of them run by Roal Racing (Roberto Ravaglia’s team). Driven by Antonio Garcia. And the other brand new. Same spec racecar as driven by Andy Priaulx to win 05/06 championship. 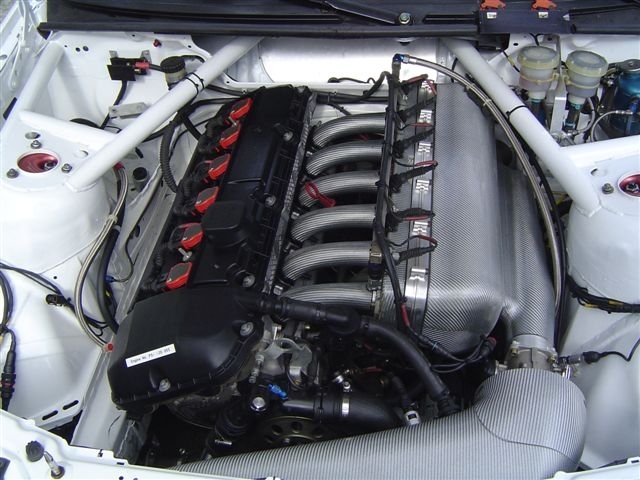 The engines are BMW Motorsport 1990 cc straight sixes making around 270 to 275 HP as listed from the Motorsport factory. They rev depending on the crankshaft size up to 10000 rpm. Generally 9000 rpm is what I used when I ran the car. The shocks are Sachs top of the line, 5 way adjustable. They have Recaro Carbon Fibre seats. They run oil coolers and pumps for gearbox and diffs with very fancy quick disconnect couplings on all pipe work. Obviously there are alot more specs, but everything on these cars are factory BMW Motorsport parts. They are all top of the line parts and wont come any better than this. There are other spares available that include other diff ratios etc. Chassis 003. is ex Roal Racing Team as run by Roberto Ravglia with Antonio Garcia driving. Chassis 2006 001. This is the last E46 WTCC Factory Motorsport chassis made and is brand new. It had never raced prior to 3 sprint races I have done in New Zealand early this year. Both cars are immaculate as can be seen from the photos. 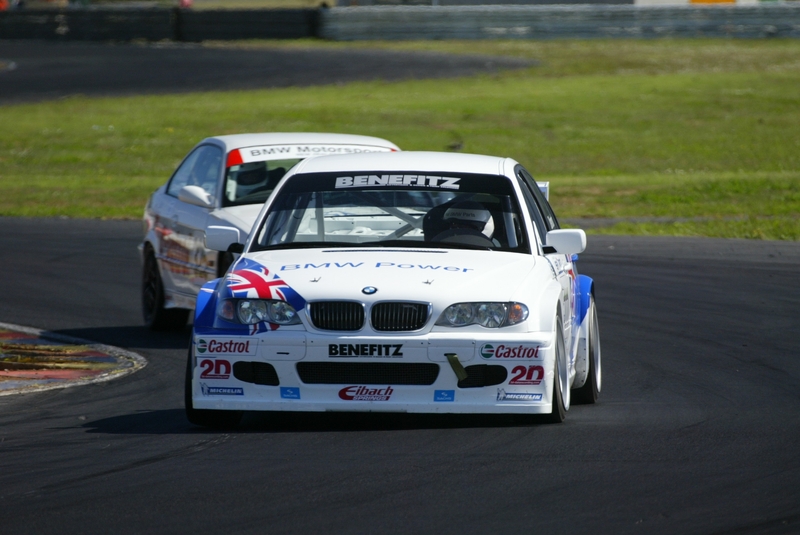 Both cars run the BMW works Motorsport 12 A ECU with the integrated 2D Big Dash Data Logging system. These systems are the same used when Andy Priaux won the 2005 WTCC in an identical car. The 2D logs and measures all the following inputs which gives you the ability to tune the suspension etc. You can purchase a GPS transponder that when fitted to the cars will give you full information trackside, as the car is going around the circuit. The datalogger also records and plots any new circuit that you wish it to. It is pretty much like Formula 1. It is a fantastic system and is used by all Motor GP, Le Mans cars etc. They can supply any upgrades and these can be uploaded over the internet.